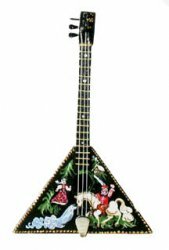 A Russian stringed instrument painted with a folk art design. 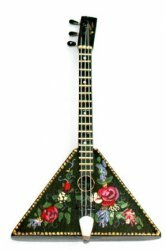 Height: 2 7/8"
Painted Balalaika with a rose design. 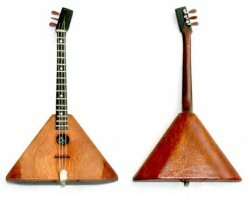 Height: 2 7/8"
A beautiful 5 string Banjo. 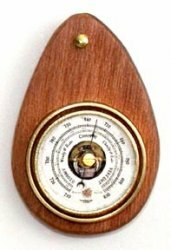 4 1/4" One inch scale.